Education is so important for our children. Since the beginning of Baan Unrak, we have tried to provide them a harmonious and balanced education that stimulates the joy of learning. Of course, many of our children have suffered abuse and trauma, which can put them at a serious disadvantage when they enter and attend school, … Continue reading "The gift of Education"
Every month Baan Unrak bring relief goods to the very poor people in the Sangklaburi district. Sometime is quite difficult to maintain this program because of our strict budget. Mostly we gave only rice for their monthly need even we know that there is they need much more than that. At the time we take … Continue reading "Tin roof for poor house"
We’ve known for a long time the importance of Aloe Vera. We have several Aloe Vera plants around Baan Unrak, and the care mothers take care of them very well. Unfortunately, we hardly use them because they are too young/small and we are too many. To really be beneficial, the plant must be at … Continue reading "Aloe Vera"
Everyone knows how important water is for all living things, and we here at Baan Unrak are no exception. Water is the source of life, even in origin. For many years, we celebrated Loykrathong (Thai traditional festival in honor of water) Unfortunately we were unable to go this year, so we held our own little … Continue reading "Loykrathong"
While it is common knowledge here, natives of other countries may not be aware that our king passed one year ago today. The people of Thailand mourned the passing of King Bhumibol Adulyadej until October 26th, the final day of grieving during which the funeral ceremony took place. 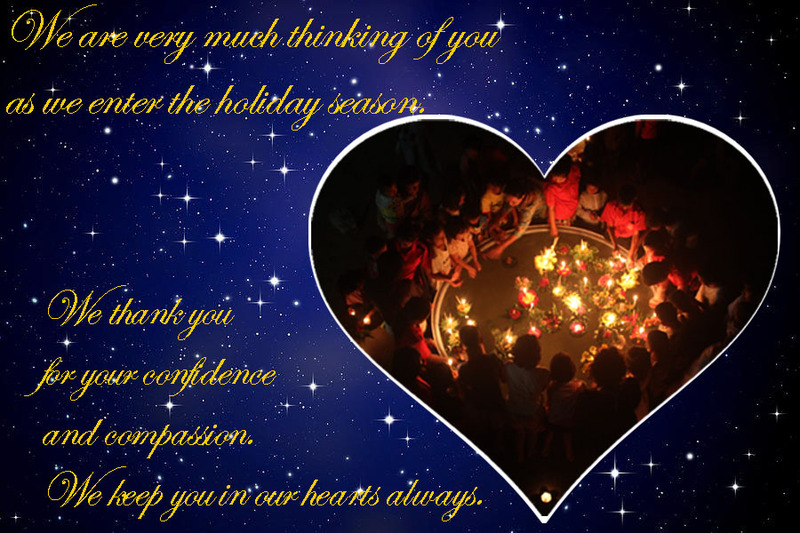 Our children had so much reverence and love … Continue reading "Meditation for the King"
Some of our children do not have opportunities to visit family or friends over the holiday. In an effort to keep their spirits high and their resolve intact, we try to plan an adventure every year. Pavitra, a long time volunteer of Baan Unrak, came for his annual visit. He brought 29 children to the … Continue reading "Beach Adventure"